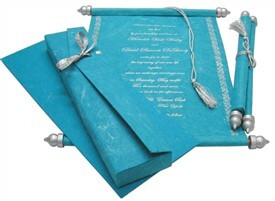 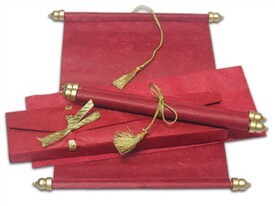 Description: Red handmade paper with golden touch - Elegant yet striking. 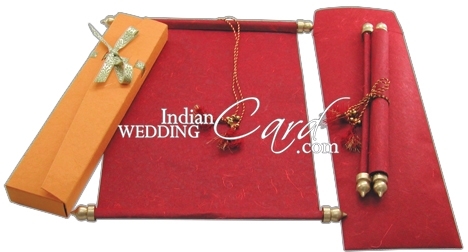 The orange handmade paper box with red color scroll inspires a touch of class. 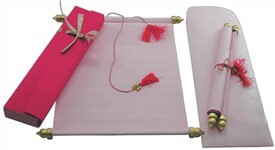 Golden ends and red -golden combo tassel to tie the scroll with similar golden ribbon to tie the box. 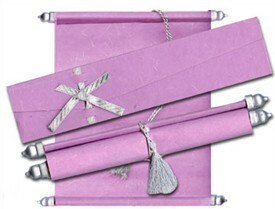 – A striking beauty! 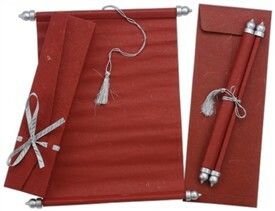 Paper: Red silk handmade paper for scroll (100gsm) and envelope (200gsm) and Orange handmade paper for box (300gsm). 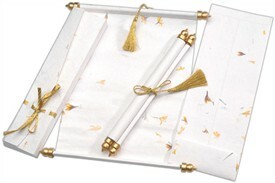 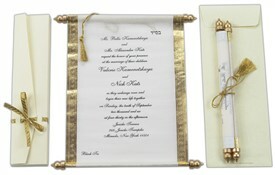 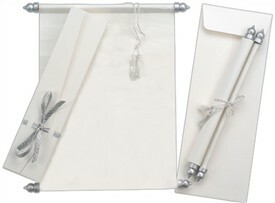 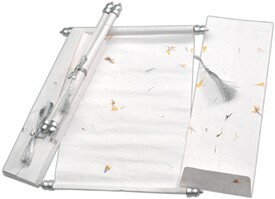 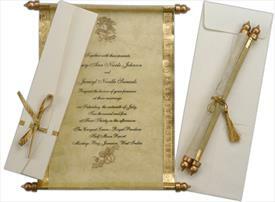 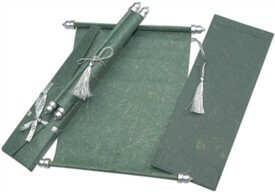 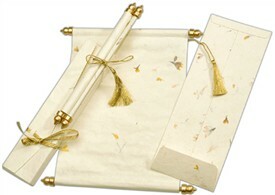 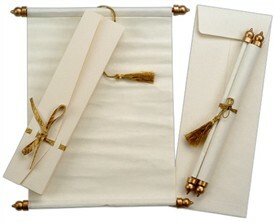 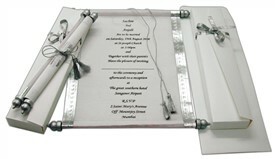 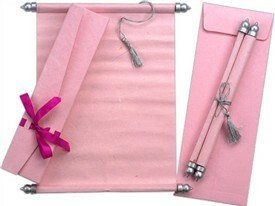 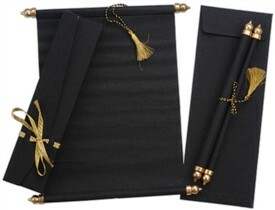 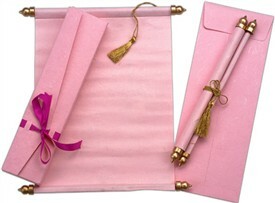 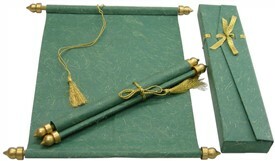 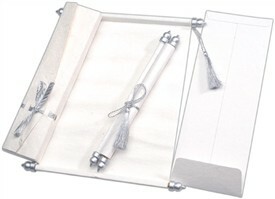 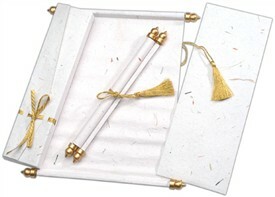 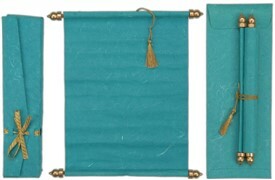 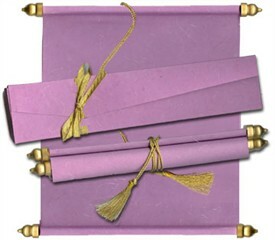 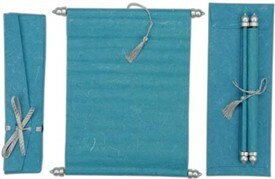 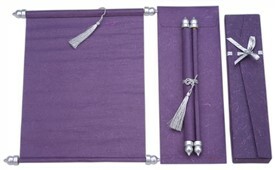 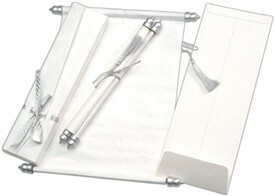 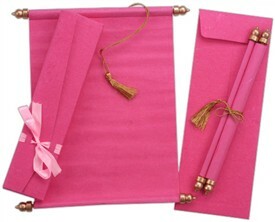 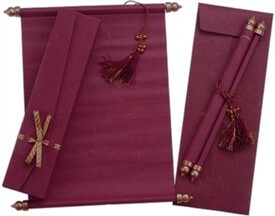 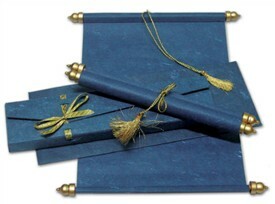 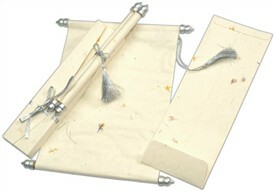 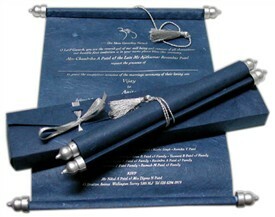 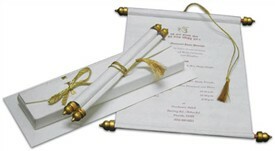 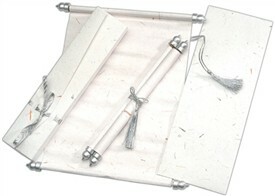 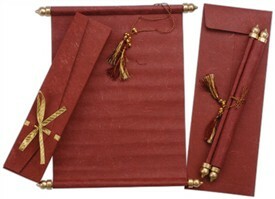 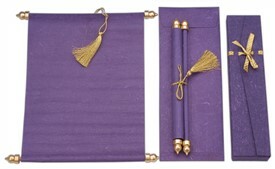 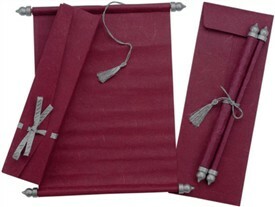 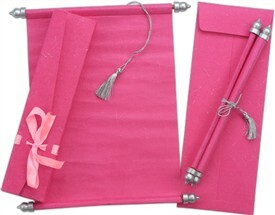 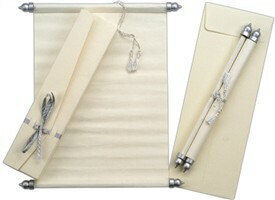 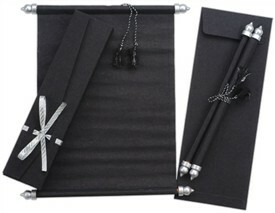 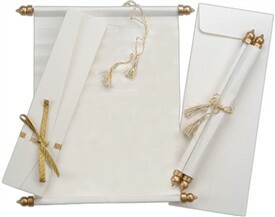 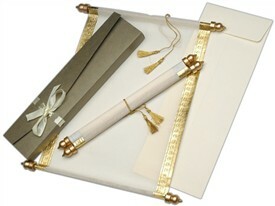 Accessories: Golden dowels and red - golden tassel for scroll with golden ribbon for box.